The Cristal Room at Baccarat House — or as we like to call it, "restaurant couture"
For an absolutely one-of-a-kind French experience, host your most special reception in the home of the world-reknowned House of Baccarat. 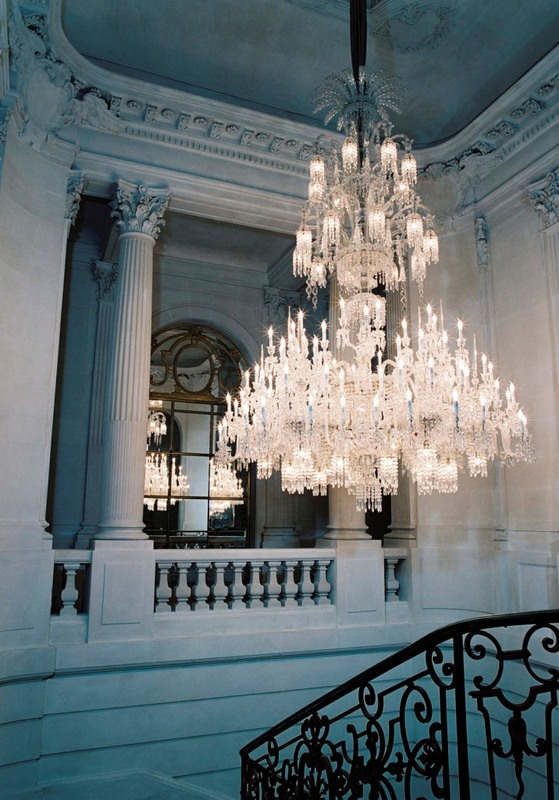 Baccarat has been producing fine crystal in France’s Lorraine region since 1816. Perhaps a lesser known fact is that it had already been producing other glass products, such as window panes and mirrors, for about 50 years. Within a short five years after debuting its first crystal, Baccarat was serving French Royalty. In 1855 Baccarat won its first Gold Medal at the first Paris World’s Fair, and went on to earn 2 more Gold Medals in each of the next two Paris World’s Fairs. Towards the end of the 19th century Baccarat was trading worldwide and had become a favorite of Russia’s Tsar Nickolas II. 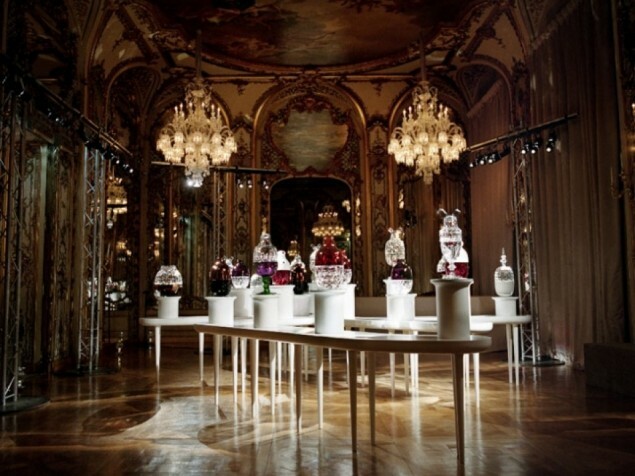 By now Baccarat was producing its signature perfume bottles. The 20th century saw expansion with retail stores in major cities such as New York and Tokyo. A new line, fashion jewelry, was added in the latter part of the 20th century. 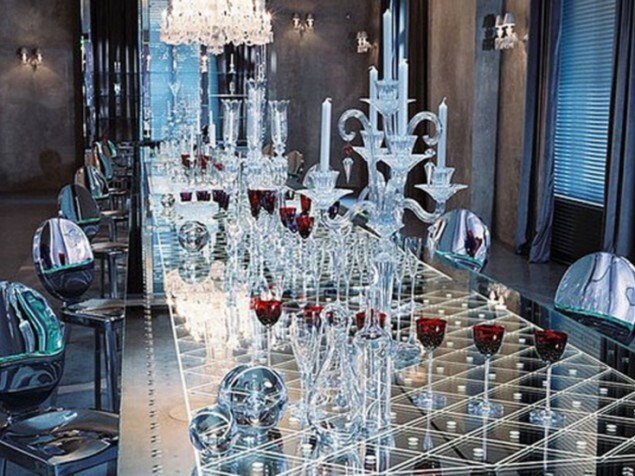 Baccarat had become a world-class brand across several decorative industries. 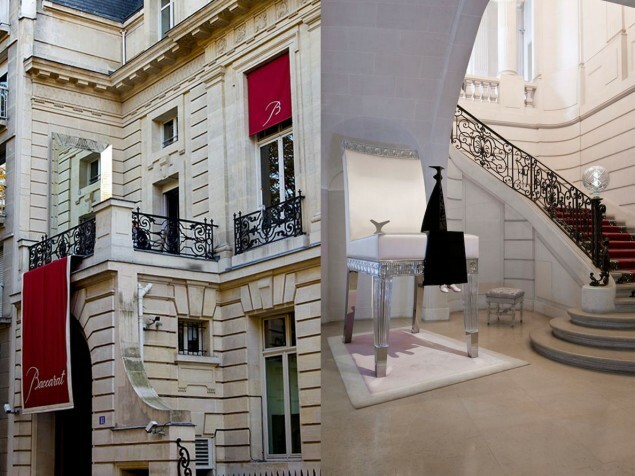 In 2003, Baccarat relocated its headquarters to a private 19th century Parisian mansion, formerly the home of socialite Marie-Laure de Noailles. The mansion was built in 1895 by Marie’s grandfather, financier Raphael-Louis Bischoffsheim. The architect, Ernest Sanson, had designed several chateaux and hotels in Paris, and later two projects in the United States. Both of his U.S. buildings are now National Landmarks. Marie was known for her love of the arts and luxurious entertaining. What better location then for Baccarat’s headquarters, and as an exclusive and glamorous setting for your private reception. The featured event space is the historic Grand Ballroom. It is richly decorated with exquisitely carved woodwork, accented with gold leaf, scenic murals and delicate Beaux Arts detailing. And, of course, there are crystal chandeliers. The extraordinarily talented French designer, Philippe Starck, was given “carte blanche” by Baccarat to upgrade many of the public spaces in the museum. 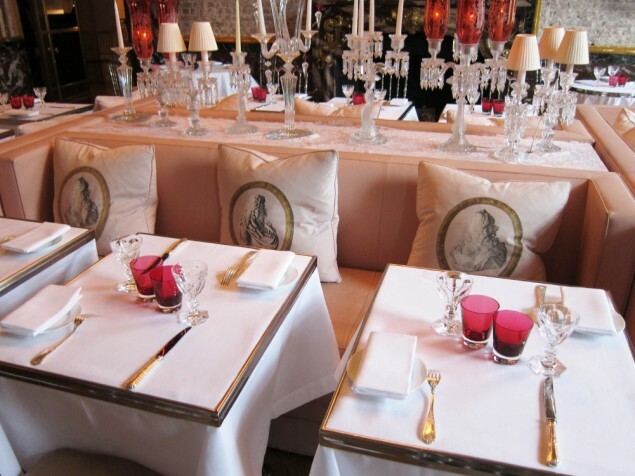 In the Crystal Room restaurant, he created an atmosphere of contemporary French glamour. 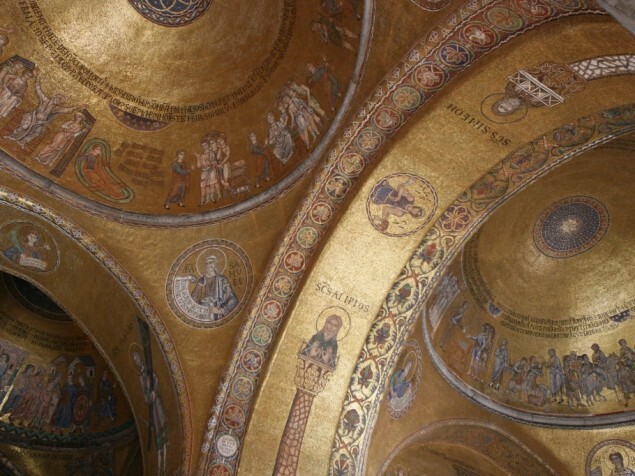 His signature and the striking galleries of the museum. Today, the Baccarat brand remains as prestigious as ever. There is no question that any event held within the walls of the House of Baccarat will be special: your own snapshot in the legacy of this most admired and celebrated glassmaker. We look forward to the debut of their first luxury hotel in New York. Everything that Baccarat produces is exquisite. 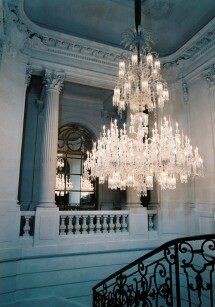 And Baccarat has chosen a splendid place for its headquarters and museum in Paris. 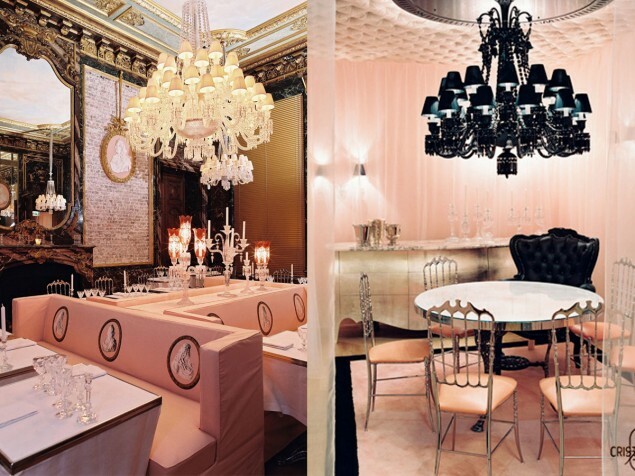 There is no setting quite like "Maison Baccarat", and there was no one better than Philippe Starck, as director of the museum’s interior design, to create a truly glamourous French experience.